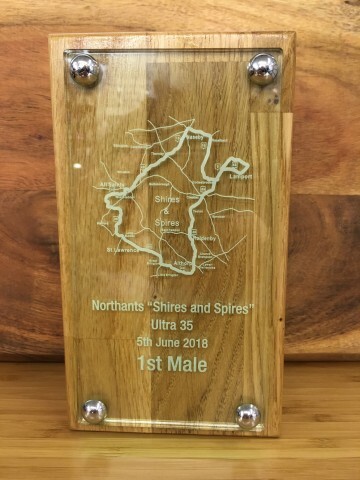 These stunning solid oak trophies are designed and made by us. Manufactured from 40mm solid oak and jade glass effect perspex. Personalised with your club/company logo and engraved with words of your choosing. These make great corporate awards. Please feel free to contact us on 01933 279812 to discuss your requirements before ordering.